Before you apply for benefits, it’s important to determine the best time to apply. Social Security makes up approximately 40% of the average American’s retirement income so it’s important to make the best decision for you and your family. 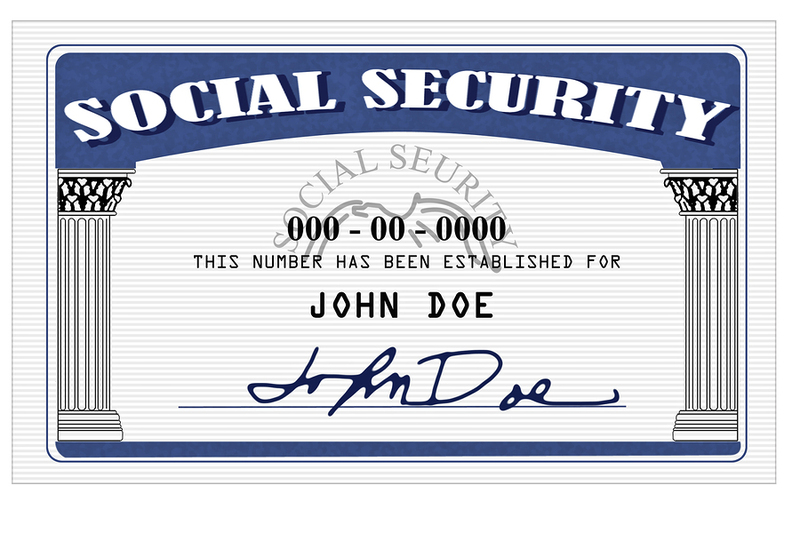 Social Security retirement benefits can be collected as early as age 62 or as late as age 70. Full retirement age depends on your birthday, but for boomers now starting to retire, the full retirement age is 66. If you receive benefits before you reach full retirement age, your benefit will be reduced by up to 25%. Alternatively, if you postpone collecting benefits after you reach full retirement age, your benefit will increase by 8% each year until you reach age 70. After age 70 you can no longer earn credits so there is no benefit to delaying benefits after age 70. According to the Social Security Administration, approximately 73% of current beneficiaries submit their Social Security application before reaching retirement age and are therefore receiving reduced benefits; however this may not be the best strategy. Your health, life expectancy, marital status and other resources all play a role in when you should start collecting benefits. 1. You can go online to SocialSecurity.gov and submit your Social Security application right on the website. However, at this time you can only apply for retirement benefits online (you must call or visit an office in person to apply for survivor benefits). 2. Call 800-772-1213 to apply for benefits by telephone. 3. Or you can visit an office in person if you want to talk to an employee face to face. To find the closest office, visit the website at SocialSecurity.gov. – If you are within 3 months of turning 65, you’ll also need to let Social Security know if you are enrolling in Medicare or not. Additional information may be required if you are self employed or if you worked in a government job that will provide a pension benefit. You should apply for Social Security retirement benefits three months before the date you want to start receiving benefits. Payments are sent the month after the month they are due. For example, if you apply for retirement benefits and request that they start in October of 2012, you will receive your first payment in November 2012. For more information on how to submit your Social Security application, please visit Social Security Online: How to Apply for Social Security Benefits. I will turn 66 on Feb.2.2012. When can I apply and receive full benefits, even though I am still employed? George – thank you for your question. People who were born between 1943-1954 reach full retirement age for purposes of Social Security at age 66. You will start receiving your full retirement benefits at age 66, even if you are still working. Note that if you applied for benefits before you reach age 66 your benefits would be reduced for every month before your 66th birthday and your benefits could be reduced depending on how much you earn from your job. 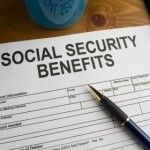 For more information about this, please read how work affects your Social Security benefits. I am turning 62 in October of this year. I have worked for the federal government since 1997 and have not paid social security since then. Can I apply for social security now if I am still employed by the federal government? Gerald – thank you for your comment. It looks like there are really two issues here: how working for the government (and not contributing to Social Security during that time in your career) will impact your Social Security benefits, and if you can collect benefits at age 62 if you are still working. The other issue is whether you can apply for benefits at age 62 if you are still working. While you can collect benefits before your full retirement age, they will be reduced for every month you collect benefits early. In addition, you are limited in how much you can earn (from a job or self employment income) while you are collecting Social Security for as long as you are under the full retirement age. In 2011, you can earn up to $14,160; for every $2 earned above this amount your Social Security benefits will be reduced by $1. I would like to apply for SS. I have lived and worked in Korea for the past 12 years. I do meet the requirements. I am 63. I have my latest SS Benefits statement. Any SS.gov websites are blocked here in Korea. I know I should go through the Phillipines. How do I get a simple SS Application? How can I find the SSN or DOB of my ex-spouses. I have no idea. They were short marriages in the 1970s. If you can not visit the Social Security website, your other option is to call 1-800-772-1213 to get an application. Regarding the short marriages, if they were less than 10 years then you will not qualify for divorced spouse benefits. from what I have found on line. I have more than enough time to receive SS. No word nothing, we got it, your going to get it. no word at all. I started giving them money in 1962 will it take another 50 years for them to get back to me? When should I hear from them? Tom – I can understand your frustration. This is an informational site only (it is not the official Social Security site), so I can’t tell you when you will hear from them. 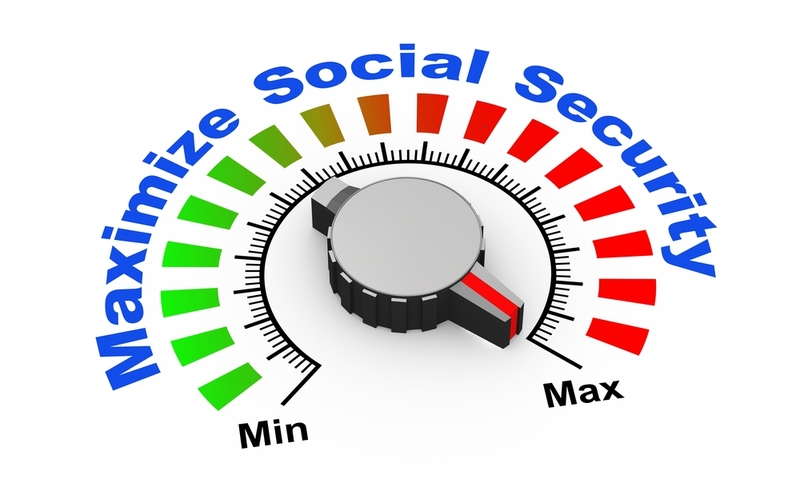 My goal is simply to help people understand Social Security better before they apply. However, I do know that you can check on the status of your application by going to the following link: https://secure.ssa.gov/apps6z/IAPS/applicationStatus. Or you can contact SS directly at http://www.ssa.gov/pgm/reach.htm. John – You may qualify for Social Security disability benefits depending on your work history and the reason you are unable to work. You can read more about Social Security http://retirementincomecoach.net/disability/, or you can start your application by visiting https://secure.ssa.gov/iCLM/dib. I am 65 at this time and my 66th birthday will be January 28th . My intention is to apply for Social Security Retirement on October 28th, 3 months before by birthday. My question is because my birthday is the 28th, do I become eligible for social security on January 1st and expect my first retirement check on February 1st, or, do I become eligible on Februay 1st with my first pay check on March 1st? David – Thank you for the question. You must be age 66 for the entire month in order to receive your full retirement benefits. Since you were born on January 28th, you legally attain your full retirement age on February 1st and are eligible for benefits beginning in February. Social Security benefits are paid in the month following the month for which they are due so you will receive your first check on March 1st. I will be filing for social security this year. Some of the information needed is name, date of birth and SS number of former spouses. I know the name and date of birth however cannot get the social security number. How do I take care of this and will it cause problems for me applying? I have no way to get this information as he is not willing to give it to me. Thank you for the question Janet. It’s possible that SSA will already have this information on file. I would go ahead and apply with the information you currently have. Even if they don’t already have your ex-husband’s information on your file, they can help you find what you need. I will be turning 70 in June and want to know if I can collect social security and still work 40 hrs and and collect my present wage? Do I have to quit work to collect ss? Great question Randy. No you do not have to quit to collect Social Security. As long as you have reached your full retirement age (66 for boomers retiring now), you can work as much as you want and it will not affect your Social Security benefits. Now if you work and collect Social Security before you reach full retirement age, there are limits to how much you can earn, but since you will be 70 soon you can earn as much as you want. I will be 63 years old on Dec. 22, 2013. I would like to retire the end of August of this year. When should I apply for Social Security in order for it to start on January 1, 2014? Ginny – You can not apply for benefits more than four months ahead of when you want to receive them. Since you want to start benefits in January, you can start the application in October. During the application process you will be able to specify which month you want your benefits to start. You can apply for benefits online here. I turn 66 on Jan. 5th, 2014 so I plan to apply for social security benefits then but I also plan to continue to work so I do not need Medicare. Can I still apply for Medicare after I retire from work? Do I face any tax penalties for continuing to work while drawing benefits? What are the behind the scenes pitfalls with going down that path? Hi Greg. Thanks for the questions. First, regarding Medicare, you do not have to apply at age 65 if you are still working. In general, you are required to sign up for Medicare at age 65 or you will face possible penalties. However, there is an exception. If you are still working when you turn 65 (or if your spouse is still working), and you are covered by an employer group plan that covers 20 or more employees, you do not need to enroll in Medicare at 65. You may continue to be covered by your employer group plan as long as you or your spouse is still working. But once that employer coverage ends, you must enroll in Medicare or face possible penalties. Second, there are two “penalties” to watch out for if you start Social Security while you are still working. First, if you apply for Social Security retirement benefits before you reach your full retirement age (66 for people retiring now), then you are limited in how much you can earn. In 2013, the income limit is $15,120. If you are under full retirement age for the full year, you will be penalized $1 for every $2 you earn over the limit. During the year that you actually turn full retirement age, the limit is much higher at $40,080. You can find more information about the income limits here. The second “penalty” to keep in mind if you are collecting Social Security and still working is that a portion of your Social Security may be taxable. For people who’s only income is from Social Security, they will probably not pay tax on their benefits. For people who are working or who have significant income from investments or pensions, they may have to pay taxes on their Social Security benefits. I wrote an article on this topic, which you can find here. can i print a copy of a ssi application on line and then bring it into the office completed? I am turning 66 next February. However, I do not want to receive social security benefits until age 70. Do I simply wait and apply 3 months prior to my 70th or do I apply 3 months before my 66th birthday and then elect to defer receiving my benefits? My marital status is divorced. Bob – Since you are not married, there’s no reason to apply at 66 and defer your benefits. Unless your marital status changes and your new spouse will be applying for spousal benefits, you can just apply 3 months before your 70th birthday. does wife whom I am separated from still can qualify for spousal support,even though were not together and I am aiming to remarry in the future,an will se be able to get ss benefits from gov.as my spouse and her child. I was married for 10 years, but I understand I may be eligible to recieve SS through my ex-husband. I signed away his government retirement and I no longer have his SS#. Am I eligible to collect on his SS? Gini – If you were married for at least 10 years you may qualify for spousal benefits. You must be at least 62 to qualify. You will need to show a marriage and divorce certificate to prove that you were married for at least 10 years. These are public record, so you should be able to get these pretty easily. Once you have these documents, contact the SSA to determine if you qualify for spousal benefits. One more note, spousal benefits are just half of the insured’s primary benefit amount; if your own benefits are higher than half of your ex-spouse’s than you are probably better off collecting your own benefits. George – If you and your wife have been married for at least 10 years she may qualify for Social Security spousal benefits. Whether you remarry or not doesn’t affect her ability to collect spousal benefits. However, you must both be age 62 in order for her to collect spousal benefits. You mentioned a child so she may not meet the age requirement. I can’t comment on other spousal support, only on Social Security benefits. Kristine,I’ll be turning 63 on November the 25th,I’m still employed but if god forbid I am planning on retiring at the end of January 2014.How soon should I apply for my social security benefits from what I understand it should be done within three months of your retirement. My husband has been self employed for the last 20 years. He will be 65 in 10 months, what documents will he need to apply for SS when he turns 65? -a copy of your W-2 form(s) and/or self-employment tax return for last year. You should apply 3 months before you want to start receiving benefits. You are correct Lloyd. You should apply for benefits three months before you want to start receiving them, so if you plan on retiring in January 2014, you should start the application process in October 2012. I just read the question submitted by Janet. I an collecting social security as is my ex-husband. I had been married well over 10 years and am eligible for collecting under his SS, I had not applied under his benefits because I did not have his SS number. I was unaware the SS office may already have this information on file. Can I re-apply to compare benefits? I do have a cop of our marriage and divorce certificates. Mary – Yes, you can reapply to see if spousal benefits will be higher than your own benefit. The Social Security office may have some of the information on file already, but you should be prepared to show a copy of your marriage and divorce certificates. Spousal benefits are one-half of your ex-husband’s primary insurance amount (the amount he would receive at his full retirement age), so half of your ex-spouse’s benefits will need to be higher than your own for it to be beneficial for you to switch. Good luck. How is my social security benefits impacted by deferred compensation payments that are being made by my previous employer? I am 62 years old and would like to start collecting social security payments. I am married but my husband is not retirement age. I will turn 62 soon. I was married previously for 23 years. May I get spousal benefit through my ex husband? If so, how do I find out what his benefit is? Shirley, thank you for the question. Unfortunately, you cannot collect benefits based on an ex-husband’s record while you are married to someone else. However, if you worked enough to qualify for Social Security on your own record, you can start collecting benefits on your earnings at 62 and switch to spousal benefits later when your husband becomes retirement age. Remember that if you collect benefits early they are reduced permanently, you should consider this very carefully before proceeding. Olen – To apply for benefits please go to https://secure.ssa.gov/iClaim/rib or call the Social Security Administration at 1-800-772-1213. Thank you. I will be 65 January 30 2016…I have never worked as I was a homemaker..can I apply for SS and Medicare from my husbands whom I have been married to for 45 years? Would I recieve half of his SS and come under his Medicare benifits? Thank you. Ann c.
Hi Ann. Good question. Yes, homemakers can qualify for both Social Security and Medicare based on their spouse’s records, even if they have never worked. In general, you can collect a benefit equal to half of your spouse’s primary insurance amount (PIA). This is basically the amount he would collect if he retired at his full retirement age. However, if he took his benefits early (before his full retirement age) or if you apply for benefits before your full retirement age (generally 66 for people retiring now), your benefits will be reduced. To learn more about Social Security benefits for homemakers, please read “Can a Homemaker Collect Social Security Benefits?”. Still a little confused…. I turn 66 on Feb 7th 2017… when can I apply for my SS and when would my first payment be deposited? Hi Don. Thank you for the question. You should apply for Social Security retirement benefits three months before you want to receive them. So if you are planning on starting benefits in February 2017 – at your 66th birthday – you should submit your application in Novebmer 2016. Social Security benefits are paid the month following the month they are due, so if you apply for benefits to begin at your 66th birthday, you will receive your first check the following month, in your case March of 2017. I hope this helps! I turned 70 years old on 12/26/2015, but haven’t applied for social security yet. Should I do this immediately? Also, I am still employed, do I still need to pay social security taxes ? If not, what do I need to do to have my employer stop deducting social security taxes. Hi Wayne. Social Security benefits stop increasing once you turn age 70, so it doesn’t benefit you to delay collecting, even if you are still working. I would apply for benefits right away if I were you. 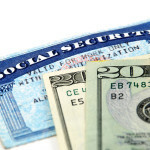 Unfortunately, you still have to pay Social Security taxes if you are still working (it doesn’t matter what age you are or if you are collecting Social Security benefits); however, your Social Security benefit may increase as a result of you still paying into SS. Thanks for the question! If my wife receives a portion of my railroad retirement benefits is she still eligible to receive her ss benefits. She is already on medicare. Yes, it is possible to be eligible and receive benefits under both the Railroad Retirement Benefits (RRB) and Social Security systems. However, if you are receiving benefits under RRB, they will be reduced by the amount of your Social Security benefits. So even though your wife may qualify for both, her total payment from both is not likely to be any higher than the benefit she is already receiving from your Railroad Retirement benefits. The good news is that your RRB benefits are usually higher than SS benefits (because you paid in more), so you and your wife are likely receiving greater benefits under the RRB system than you would have under the Social Security system. I hope this helps; thank you for your question.